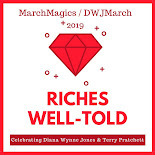 It is becoming a new tradition for me to sneak a Neil Gaiman read into March Magics/DWJ March each year. Neil was such great friends with Diana and Terry that it just feels right to add him into the mix. Anyway, he obliged me this year by having a new book out-- Norse Mythology --and I was able to fit it in right at the end of the month. The book title is pretty self-explanatory. 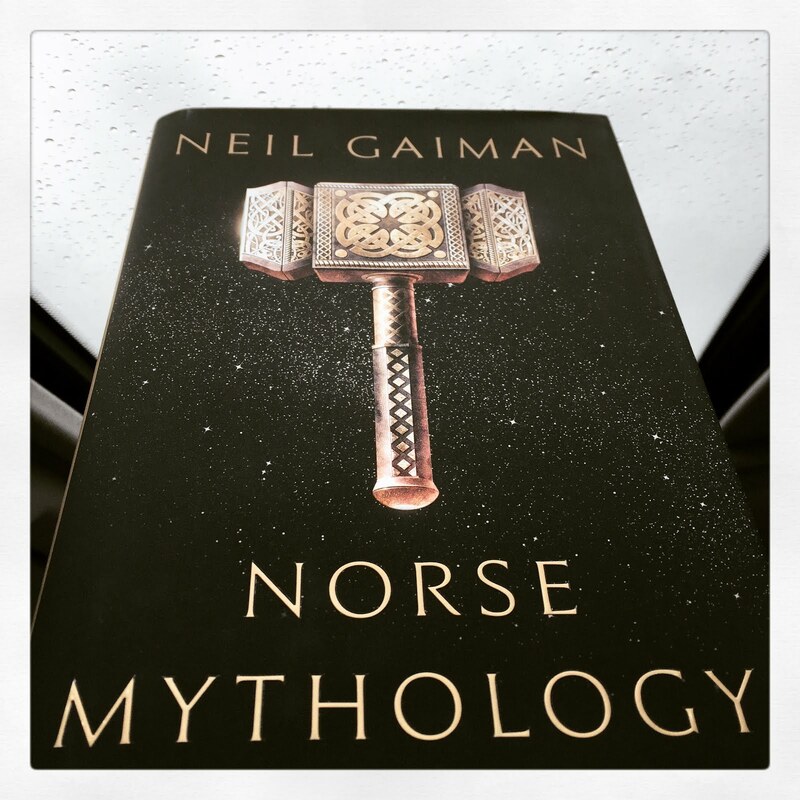 Neil read original sources (Prose Edda and Poetic Edda, not in their original language) and, simply, retold the stories in a way to capture modern readers. The time flies by as you read about how the world was formed, how Thor got his hammer, and how Loki is seriously the worst. 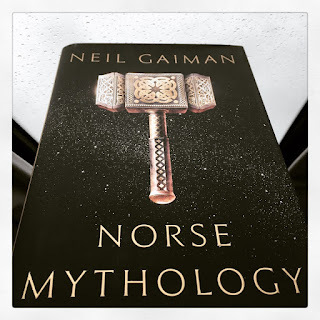 I'm not a huge mythology person but even I was caught up by each of these tales and transported to another world of giants and serpents and gods. I don't know how Gaiman does what he does but he did it again in this book. I'm hoping they put out an illustrated edition of this sometime soon, so I can buy it for my little nephew. And, let's face it, for myself as well. Illustrated editions are the best. An illustrated edition would be great but if Loki doesn't look at least a little like Hiddleston, I would be disappointed. I did populate most of the stories in my head with Marvel actors while I read. Oops. I would love to read this--I know so little about this area and it seems like there are some great stories there. BTW, when I first glanced at the title of this post, my brain read "Nurse Mythology," and I thought "Hmm, this should be great!" I only knew basic names and some misinformation from Marvel. I liked getting back to the original sources!